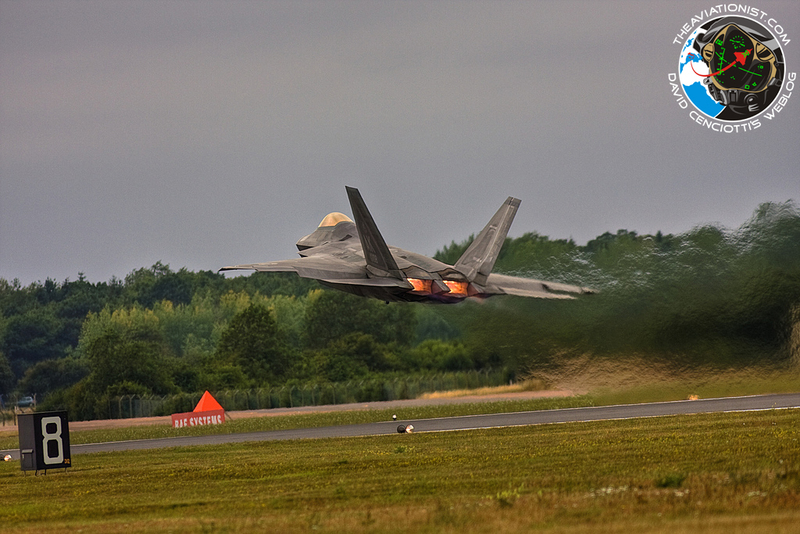 As the debate about the F-22 “invicibility” goes on after the confrontation with the Eurofighter Typhoon during the Red Flag Alaska, some good news should ease some tension will help ease tension within the Raptor community. 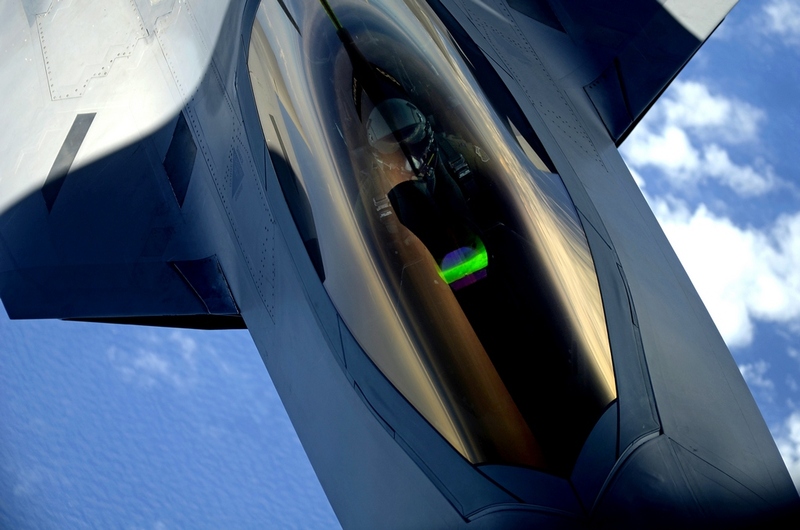 First of all, the U.S. Air Force has finally narrowed down the root cause of the hypoxia like symptoms that have been plaguing the F-22 missions in the last couple of years. “We have eliminated one of the hypotheses that the air force scientific advisory board postulated as a potential root cause for the hypoxia-related incidents and that was contamination. We have the data that has confirmed that” said USAF chief of staff Gen. Norton Schwartz in an article appeared on Flighglobal. The modifications are going to be fully tested and should be starting to be installed next fall. In the meanwhile, the current restrictions to 40,000 feet, to fly within 30 minutes from an airport as well as some maneuvering limitations which are in force on the F-22 fleet will continue until the modifications are implemented on the aircrews equipment. With the changes, SECDEF Leon E. Panetta gave the go ahead to the deployment of a squadron of F-22s to Kadena, in Japan, that will take place in the next coming days. Panetta has in fact approved the Air Force’s plan which foresees a gradual lifting of restriction which will allow the service to resume normal F-22 operations over time (including the air space patrol flights in Alaska, currently undertaken by other types of aircraft), ensuring the safety of the pilots. The hop to Kadena, Okinawa, was allowed along a route over northern Pacific and by lifting the limitation about the distance from the nearest landing field (extended to 1.5 hrs). The aircraft will be accompanied by KC-135 tankers that will have to carry at least one F-22 pilot, whose task will be to give Raptor pilots advice should the need arise. It’s not clear how the F-22 (more or less secretly) deployed to UAE last spring, considered the restrictions to fleet. The oxygen deprivation problem isn’t the only problem that continues to affect the U.S. Air Force. Something which has been going on as long but has received far less publicity is the series of issues experienced by the AMRAAM missile. The problem with the AMRAAM, described by Strategy Page isn’t F-22 specific to be fair (although the AIM-120 is the Raptor’s main air-to-air missile), as it deals with the rocket motor that powers the missile in flight. It has been found that if the missile experiences low temperatures (like those that can be found at high altitude) the motor becomes unreliable. The USAF tests a few missile when ever it receives a new batch of missiles, it was during this test that the problem was found, as such there have been no deliveries for 2 years whilst the manufacturer looks into the cause. Although the AMRAAM entered service some 20 years ago (1992) the missile has gone through some upgrades during that time and it’s likely that components in the rocket motor have been slightly changed. And the result is this problem. The manufacturer continues to look into the problem whilst the USAF holds onto the funding to pay for these faulty missiles.